One of the most daunting parts of any job search is the interviews. After all, interviewing is a skillset that you’ve never been taught, and you hardly ever use. Yet you’re supposed to be great at it if you want the job. It’s a stressful situation that leaves the best of us feeling overwhelmed. How to prepare for your next interview. What parts of the interview process are out of your control? How to answer common accounting interview questions (STAR Framework). Why so many interviewers ask stupid questions (and how to answer them). The most common interview myths (and other bad advice to avoid). Questions you should ask in your next interview (find out if you even want the job). Hear some interview horror stories. Coaching Note: Free enrollment now open for this resume course. Margaret Buj has over a decade of international recruiting experience, including finance and accounting roles. 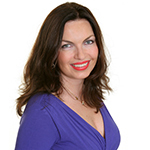 And she provides free interview resources, and one-on-one coaching at her web site. Today she’ll tell you about the worst interviewing myths that keep people like you from landing the job. 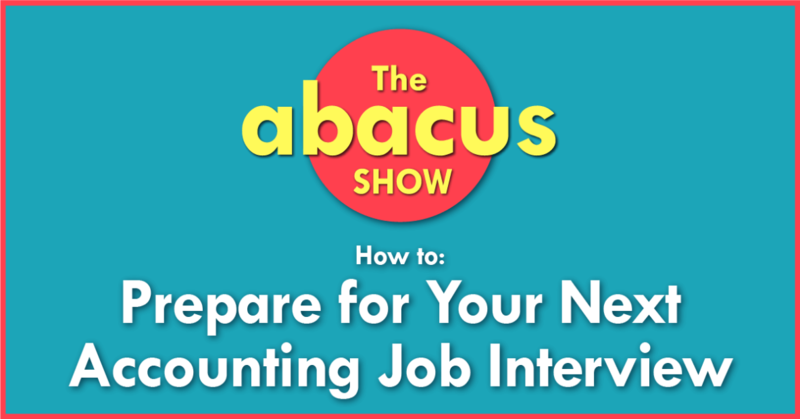 The best ways to prepare for an accounting interview. And you’ll get to hear about some of the worst interviews she’s ever seen. Bob the CPA: This is Abacus, I’m Bob the CPA. One of the most daunting parts of any job search is the interviews. After all interviewing is a skill set that you’ve never been taught and you hardly ever use yet you’re supposed to be great at it if you want the job. It’s a stressful situation that leaves the best of us feeling overwhelmed that’s why I’ve asked interview coach Margaret Buj to come on the show and help misidentify the process. Margaret Buj: I’m an interview coach who helps professionals to get hired, promoted and paid more. Bob the CPA: She’ll tell you about the worst interviewing myths that keep people like you from landing the job. The best why to prepare for an interview and you will get to hear about one of the worst interviews she’s ever seen. Then in today’s coaching note, I’ll tell you about a free way to avoid the biggest accounting resume mistakes. All this, coming up on Abacus. Let’s go. Learn everything you need to have a successful and fulfilling accounting career. Whether you’re on the partner track, or you are making your own path. This is Abacus. All right! Well, let’s get into it. Margaret, welcome to the show! Margaret Buj: Thank you for having me! Bob the CPA: The first question is, how would you describe yourself in one or two sentences? Margaret Buj: Okay, I would say I’m an interview coach who helps professionals to get hired, promoted and paid more. Bob the CPA: What is your background or your experience in interviewing? Margaret Buj: Okay, so quite an extensive one, I have about 11 years of international recruitment experience. I’ve spent 11 years in recruitment in total. I spent the first few years recruiting for technology companies such as Microsoft, VMware, Business Object or Software. Recruiting for different positions in sales, marketing, technology, finance, HR. Really across the board and for more junior positions up to VP level. Truly across Europe, Middle East and Africa. I think in Europe I must have worked on at least one position in every country in Europe. Or most counties in Europe. I’ve done quite a bit of recruitment in the US actually when I worked for Expedia I filled 10 to 15 positions in Seattle, one was in New York as well. In some of my previous jobs I’ve done some recruitment in the Middle East and some in Africa as well. 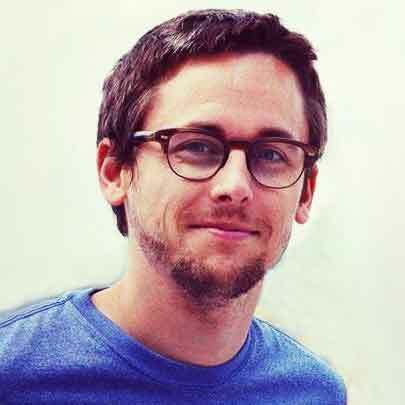 Obviously Europe is where I do most of the recruitment, so you know UK and Germany and France but I still recruit in the US, I am the head of recruitment also at Yieldify, so I am currently doing quite a bit of recruitment for our office in New York. 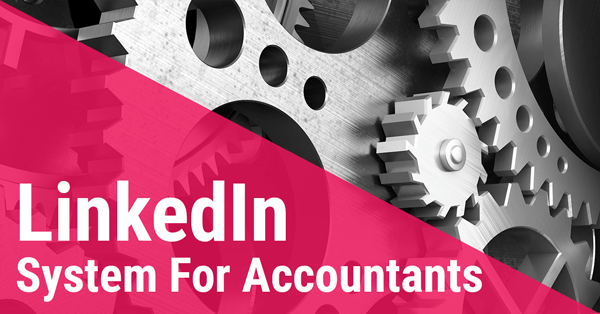 Bob the CPA: Wonderful, and do you have any history of working with accounting and finance professionals? Margaret Buj: Yeah, absolutely, so when I started my career in recruitment, actually my first ever job was a recruitment agency specializing in accounting and finance positions. I’ve recruited for a number of positions including accounts payable and finance manager, and finance analyst, et cetera, et cetera, and I’ve also recruited for these positions at Expedia. I have pretty extensive experience recruiting for finance analyst, finance manager, finance directors, but also as an interview coach, I’ve worked with people at all levels, I’ve worked with hedge fund guys and asset management guys. Bob the CPA: Wonderful, I’d like to get that out of the way first so everybody can understand that you know what you’re talking about and just sit back and listen to the advice for the rest of the show so thank you for that. One of the hardest things about interviewing, is that so much of the process is out of your control. It’s frustrating to spend so much time preparing, only to have fate kick you to the curb. But, Margaret tells me, this is completely normal. Jumping into the actual interview process. I think like a lot of things in life, interviewing, there’s a lot of things you can’t control in the process. Are there any examples you have of that, and how you should handle them when you’re going into an interview? Margaret Buj: Yeah, I think the only thing you can control is how you came across, like you can do your best, but the rest is completely beyond your control. I’m sure you’ve had the experience, or you’ve heard of someone who had an experience of doing a fantastic interview and you still won’t get the job because maybe there was someone with slightly more relevant experience or there was another candidate who maybe was recommended by someone internally. Sometimes the hiring manager might have unrealistic expectations, you know sometimes you’re looking for a perfect person, that unicorn who might not exist or they might be looking for that exact copy of the person that they’re replacing. To be honest, if that happens, all you can do is demonstrate that you have the right skills and you do that by doing the research, providing specific tangible examples of what you have done in the previous position that would be relevant to the job that you are applying for. That’s really all you can do, the rest is, as I said, completely beyond your control. Bob the CPA: During an interview, what’s a good way to provide a tangible example of something you have done in the past? You would use a format called “STAR” which stands for Situation, Task, Action and Result, so basically you describe the situation you were in or to the task you had to accomplish and then you talk about your specific actions of what you’ve done and then you talk about the result. The more specific or tangible the results the better. If you’ve done something that saved time or money, mention that. If you’ve improved the procedure and that saved, three days out of every week, try to quantify examples as much as you can. That’s probably the biggest mistake, when I see resumes and when I interview candidates, a lot of the time they just talk about what they’ve done but not so much about what they’ve achieved. You really want to focus on how did you really impact the organization. What have you really achieved? Many resumes are just really duty oriented, people mention what they’ve done, and especially now, it’s really competitive these days. I’ll give you an example, last year, I was recruiting for a finance director and we received 167 applications, sorry, 176 applications. Margaret Buj: That was just directly through Expedia’s website. That didn’t include people that I have contacted myself directly via LinkedIn and reaching out to people directly. Honestly, out of these 176 people, half of them could probably do the job, but you can’t interview 80 people or 90 people. You really focus on people with the best experience, most relevant experience, most relevant to the job. We were looking for e-commerce experience, and guess how many people who had e-commerce experience out of those who applied, maybe three. People just apply for jobs without tailoring their CVs to specific positions. It’s really important that when you have experience they’re looking for, that it’s really visible on page one of your CV, of your resume, and also that you have those specific examples. Bob the CPA: Yeah, I agree, especially if you can put in dollars of savings or percentage of time saved or anything like that especially, that’s one of the big tips I give people when I’m telling them how to fix their resume. Margaret Buj: Especially in a finance position like, let’s say a finance manager, they will be improving maybe the forecasting or the budgeting process, but how will they improve that? What was the situation before? How bad was it? Really paint the picture of what the problem was, how it impacted the organization? Then what processes, what systems do you put in place to improve the situation then what was the result? Bob the CPA: Exactly. For instance in one of my roles, I could’ve just written down, we implemented new business information system, but that doesn’t really tell them a whole lot about what I did or how that helped. It’s more, “Managed team of five to implement business information system that improved forecasting accuracy by 10%,” or something like that. Margaret Buj: Exactly, that’s exactly what I was talking about, absolutely. It’s very, very important, because imagine how are you going to make yourself stand out? Imagine there are just 20 people applying, and you know, there are more, but how are you going to make yourself stand out? Obviously, having a stable career history and having some good brands on your resume, yes that will help, but at the same time you still need to be able to make yourself stand out. How did you make an impact? It’s really easy to explain that when you have some numbers. Bob the CPA: On the topic of standing out, I think a lot of people might be tempted to embellish a little bit on their resume in order to make themselves look a little better. What is your recommendation on that? Margaret Buj: I wouldn’t recommend that. It’s quite easy these days, a lot of companies are doing background checks. Even in the interview process, you really need to be able to talk in detail about everything that you put on your resume. I’ve had candidates, it happens all the time, either myself or I heard from my hiring managers that you ask the candidate about something that they’ve done, and it’s actually quite clear that they haven’t really done that to enough extent, what they put on the resume, it’s not necessarily lying, but maybe they’ve done something once, and we’re looking for an expert. That comes out in an interview process, you want to show yourself in the best possible light, I wouldn’t do it by lying, absolutely not. Bob the CPA: Whether it’s in magazines, your favorite morning show, or on the internet, there’s a lot of bad resume and interviewing advice out there. I asked Margaret to share the biggest myths and misconceptions that she sees, keeping qualified candidates from getting the job. For the resume or the interview process as a whole, what are some common myths that you think people have. I don’t know, they’ve seen it on a blog or they’re reading it online somewhere. There’s a lot of bad information out there. What are some myths that you hear a lot that you’d like to dispel today. Margaret Buj: I think one may be that the most qualified person gets the job. That should be the case, not always the case. Interviewers are looking for someone who can do the job, fit in the culture and do not cause trouble. If you can demonstrate that, hope you will get the job. Sometimes you can have fantastic experience but then maybe during the interview process you will come across as someone’s who’s really difficult to manage or difficult to get along. I’ve seen that quite a few times, actually. I’ve seen that the candidate has really good experience, pretty good answers but at the same time, it was quite clear that they may be quite difficult to manage or difficult to get along. They just didn’t get the job. It’s quite often, the applicant who comes recommended from an inside source or a personal connection, that will maybe get the job. Not always the most accomplished candidate. Yeah, it’s not just about your ability to do the job, it’s also are you going to get along with others. Would you be easy to work with. That’s definitely one. I think another one potentially is sometimes the interviewers aren’t prepared. I’m sure you’ve had that experience. You imagine that they’ve read your CV and they pretty much know your resume by heart. Not the case. They might have just run out of another meeting. Maybe they just glanced at your resume last week. Shouldn’t really happen but it happens. Margaret Buj: Prepare for the interview by preparing to identifying the problems hinted at in the job ad. If there’s no job description, research the company and industry and then prepare examples of how you would solve them. Or give some examples of how you solve similar problems in a previous job using that STAR that I mentioned before. Again, you will just prepare stories of how you solve the similar problem. That would be one. Similar to that, many interviewers have never had any interview training. They ask you these stupid questions like, “Tell me about yourself,” which is just so generic. Instead of asking you for some specific examples. Again, in such a situation, again, prepare several effective soundbites, highlight your past successes and your skills. You don’t need to be too detailed. You just want something catchy and succinct. That’s just easy to remember. The more example of what you achieved, you can provide the better. Bob the CPA: Just to clarify, even if they’re asking stupid questions, you need to have an answer right? Margaret Buj: Yeah, you probably do. It depends what. A lot of interviews start with, “Tell me about yourself.” I don’t like this question personally because I think it’s a lazy interviewer question but at the same time, you absolutely do need to have a good answer prepared because a lot of interviews start that way. At the same time, if you go to a company and they’re just asking you these really silly questions, I’m sure you don’t want to work there. Maybe not. Bob the CPA: Good point. Margaret Buj: It’s a two way street. It’s also, as an applicant, it’s also for you to evaluate if you actually want to work there. It’s not just them interviewing you, you also need to make sure it’s the right organization for you. Bob the CPA: Do you have any questions you recommend candidates ask during the interview to find out if it is actually a place they want to work? Bob the CPA: I like that one. Margaret Buj: Is it a new job? Is it a replacement? You can absolutely ask. If the person got promoted, great. That’s obviously a chance for you to do the same. If you’re like the fifth person being interviewed for the position because the four previous people have left, that’s always not a very good sign. Not that they would tell you that. You still might want to find out, who did the job before, what happened to them, why are they looking now? You can also ask about expectations. What are the priorities of the job? That’s not so much about the company culture but it will still give you some more information about their expectations. How realistic these expectations are as well. Bob the CPA: I was watching your free interview course so thank you for that, by the way. I found that on your website. I’ll include a link to that in show notes so everybody can hop over and sign up for that too. You mentioned something that jumped out to me, it was you need to show enthusiasm during the interview. As a kind of natural introverted person, it’s not my default mode to be out and be all bubbly and smiling and glad handing. I just want to know, what is your best recommendation for coming off authentic but also enthusiastic. Margaret Buj: Okay, it’s a great, great question. I think it’s extremely important to show enthusiasm during the interview but it doesn’t mean that you have to be, obviously if you’re an accountant or a finance person, you’re not going to have the same personality as a sales director, right? It’s just a completely different job, that requires completely different traits. It’s not about being too energetic and jumping up and down, at the same time, there are so many people who look bored in an interview. If you’re interested in a job, you need to tell them. Honestly, I can’t tell you how many times, I’ve seen … In fact, I remember a situation when there were three candidates in the final interview stage. The one who got the job, was actually the least experienced one but she was the most enthusiastic out of the three candidates. Think of what’s your why, why does the job really interest you? What is it about the company that appeals to you? You don’t need to be like, super energetic but at the same time, even how would you be talking to a friend about something you really, really excited about. That’s the tone of voice you should be using. Just think of a few reasons why you’re really interested in the company, maybe you modulate your tone of voice a bit as well. Don’t be really monotonous. I actually had candidates saying, “Oh, I’m really interested in this job.” In that tone of voice. You do need to be able to show some enthusiasm. Think of how would you be talking to a friend about something you’re excited about and that’s the kind of tone of voice that you should be using. Bob the CPA: Do you recommend actually flat out saying, “Hey, I’m very interested in this job for X, Y and Z reasons.” Or just keep it in your head. Margaret Buj: Yeah, absolutely. Even if they didn’t ask you the question, I would tell them. Definitely. Bob the CPA: I think that comes back to the fit that we were talking about earlier. People are more likely to want you around if they know you’re excited and really want to be there. Margaret Buj: Yeah, definitely. Why would you want to work with someone who doesn’t seem at all interested in the job. You don’t want someone who’s just interested in any job because they’re unemployed. You want someone who you will actually enjoy working with as well. Bob the CPA: Sometimes the best way to learn is to here stories about what not to do. Margaret shared some of the things that great candidates have in common and she has a few horror stories from interviews where the candidate definitely didn’t get the job. Pay attention, make sure you don’t make the same mistakes that these guys made. Do you have any good stories or I guess we’ve kind of covered a few of them, but that exemplify maybe a typical, really good candidate or a really bad candidate that you could walk us through? Margaret Buj: Yeah, how much time have we got? Some examples, a great candidate typically they would have done a lot of research of the company. They would have prepared relevant examples. It’s obviously someone who’s very enthusiastic about the company. You can really tell they’re interested in the company, they have put in a lot of thought to where they want a career to go. Why they’re interested in this specific job? Why this specific company? Again, they would have done, as I mentioned before, I had this situation when there were three people in the final interview stage, the one who got the job was actually the most enthusiastic one. I had another situation, again, we had two candidates, I’m interviewing for a senior position. Again, they both were really strong candidates, really strong example but the one who got the job was just, again, really enthusiastic and really well prepared. It’s very, very important that you do that. In terms of bad candidates, there’s so many. I mean, I’ve had people who they’ve done no research on the company whatsoever. They pretty much, they don’t even know what the company does. Or they just have a two minute look at the website but they’re not really that interested, you can tell. Some of them, I don’t even think they read the job description because they will send you a cover letter … I’ll give you an example, I’m looking for an account management intern right now, which is basically a role within digital marketing. Basically, people who are applying, they think it’s a role in accounting because clearly they haven’t read the job description. I’ve already a few people saying, “Oh, I’m really interested in finance and investments.” This job has nothing to do with that. It’s a role within account management team within digital marketing companies. I’m not actually sure what they think. Whether they read the job description or whether they just apply that they think looks relevant. People send cover letters but they still haven’t changed the name of the previous company they’ve applied too. Or they mention they have really good attention to detail and they have spelling mistakes on the resume. Being really negative about the company or previous boss, that would be a no-no. I’ve had candidates at the interview who are just like really slagging off their boss or the team. I’m like, “Oh my god, why would you do that?” Are you going to do the same to us? There was another quite funny situation recently when the candidate was doing really well. All the interviews, the presentation went really well and then there was one final interview with, what we call a bar raiser interview, it’s a concept taken from Amazon, where the interview is really competency based interview, focused on values and competencies. Like, “Is this person going to be better than, say, 60% of the same people doing the same job within the company?” That’s not really about the skills, it’s more like, “Are you going to be the right fit for the business? Do you have the same values?” Et cetera, et cetera. Because the feedback was so positive the interviewer asked the question, “Tell me about some failures.” Or, “Tell me about the failure.” Instead of giving just one example of something that didn’t work, they kind of just went on and on for about 20 minutes. The examples he gave, I just wish I had witnessed that, I had the interview feedback. Basically, he did quite a lot unethical things, for example he was once working for this company, I think he was just selling some non-existing ad space. He was selling some hip replacements, I think he sold that wrong size or something like that. It was just so bad. Then he continued for a few months. Instead of leaving immediately knowing what the company was like, he actually continued for quite a few months because apparently, he needed the money. Just the lack of integrity was quite apparent. He even said to me during interview, “Well, I lied to my boss about …” Instead of just taking a day off, you’re entitled to have a day off, to do whatever. He actually said, “I actually lied to my boss to be able to come here today.” Why would you even say that? That was the most recent example. Bob the CPA: All right, that’s a good one. Margaret Buj: I have another one, I was interviewing a candidate and he actually suggested himself that I will speak to the person that we hired a month earlier because they used to work together. He probably thought I wouldn’t do that. He just thought, “Well, I’m sure she won’t do that.” Anyway, I finished the call, I called this other guy that he said they used to work together, he can provide reference. They guy just went silent. He just said, “I can’t believe asked you to speak to me. He had some mental health problems. I fired him.” Yeah, there’s a lot of examples of bad candidates. Bob the CPA: Unfortunately there’s probably more of those then the great candidates but that’s what makes the great candidates stand out, right? Margaret Buj: Absolutely, you know what? Honestly, it’s not very difficult to standout. Even when I mentioned you got these 176 applications or whatever. It’s actually quite easy to see that really good resume, that’s specifically tailored to the position. You really emphasize, you use the right keywords, it’s really achievement oriented. It’s actually not that difficult to make yourself standout. Bob the CPA: Well, we’re coming up on time here and I want to make sure we don’t run over. The last thing I want to know, is where’s the best place for people to find you online if they want to learn more about interviewing or even connect with you about possibly doing some coaching? Margaret Buj: Sure, so my website is www.interview-coach.co.uk. I have a lot of free resources on my website, including free E-course about how to win a job interview. I have a free video course, again, I think that’s the one you referred to earlier. That’s at yrhiredvideocourse.com, but the link is also on my website. There a lot of resources for people interested in improving their skills. Bob the CPA: Awesome, we’ll include links to all of that in the show notes for today’s show. All right Margaret, thank you so much for coming on. Margaret Buj: Thank you very much for having me. Bob the CPA: Thanks again to Margaret for coming on the show. If you want to learn more about how to interview Margaret has great resources to get you started. You can find links to her site and everything else we just talked about in the show notes for this episode at Abacusshow.com/7. Each episode I like to share a little tip or tidbit that while probably not life changing, will hopefully help you out in some small way. This is coaching notes. Earlier in this episode you learned some great tips to help you ace your next interview. If you’re looking for a job there’s something you need to do before you can even get the interview. That’s right, you’ll need a great resume to get your foot in the door. The good news is, that crafting a great resume is easier than you think, the bad news is there’s so much awful advice out there, in magazines and online, that it’s hard to know where to start. That’s why I’ve created the accounting resume myths course. 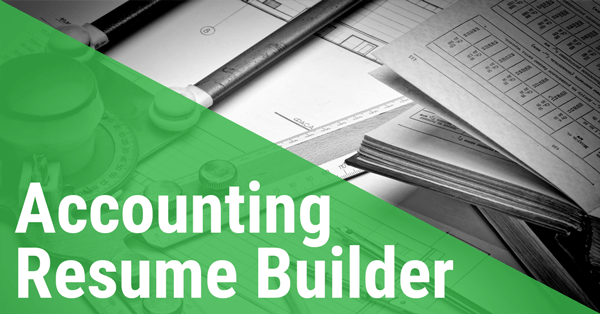 This free course gives you the basics of writing an accounting resume and busts some of the biggest resume myths you’ll come across. It’s free for Abacus listeners. Enroll today by visiting cpatalent.com/courses. That’s your coaching note. Thanks for listening. If you like this episode, it’s fast and easy to click on that five star rating in iTunes or your pod catcher of choice. Don’t forget, you can get links and show notes for everything we covered today or check out all of our past episodes by visiting Abacusshow.com. See you next time.